 Evergreen Counseling is a group therapy practice located in Berkeley, California. Evergreen serves individual adults, teens, adult couples, and families from the Bay Area and beyond, helping them navigate the tougher, more confusing times in life with skilled, warm, and comprehensive support. Here at Evergreen Counseling, we believe that life can be hard sometimes (it can also, of course, be beautiful and wonderful!). And when it gets hard, we believe that everyone deserves an abundance of support, someone they can safely and confidentially turn to to help figure things out, make sense of their situation, and figure out how to get to where they want to be. Our singular goal is to help you feel better in your day-to-day life. We know that modern life is busy, full, and complex. So we’ve designed Evergreen Counseling to account for that. From our online booking and scheduling system to having therapists who work early morning, late evening, and weekend hours, to online therapy and phone session options, to maintaining a handpicked referral list of other local providers in the Bay Area, our goal is to help make therapy feel more accessible and to get you the kind of supports your modern life needs. We invite you to give us a call at 510-373-2723 or to book an initial consult session online here so that we can match you up with one of our wonderful counselors and get your first therapy session booked right away.